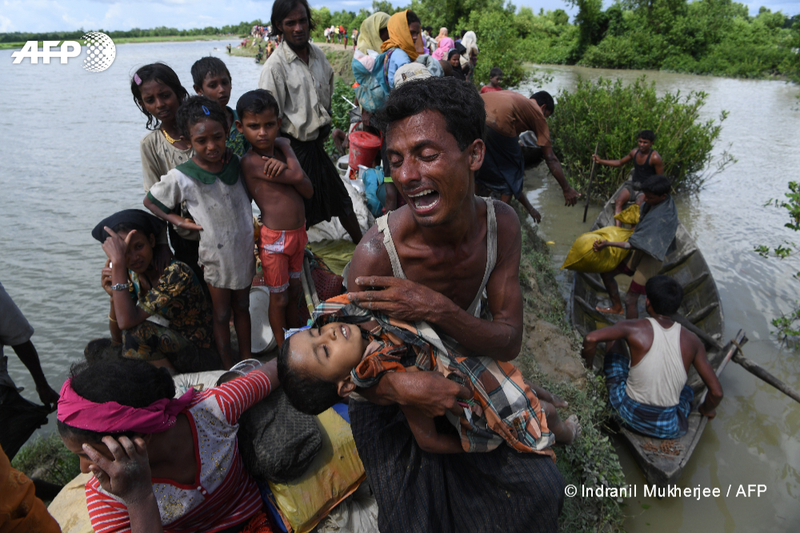 The 22nd edition of the annual Human Rights Press Awards, jointly organized by Amnesty International Hong Kong and the Hong Kong Journalists Association, has honoured a number of AFP journalists for their work on the Rohingya refugee crisis. The top text and print prize for spot news was given to a powerful series of AFP stories on the plight of the Rohingya in the refugee camps near Cox’s Bazaar in Bangladesh. It was jointly awarded to former Delhi News Editor Claire Cozens, Deputy Delhi News Editor Nick Perry, Dhaka correspondent Sam Jahan and our regular stringer in Cox’s, Redwan Ahmed. The spot news category in the photography section was won by our Mumbai-based photographer Indranil Mukherjee, for his moving picture of a distraught refugee father holding his dead infant child in his arms. 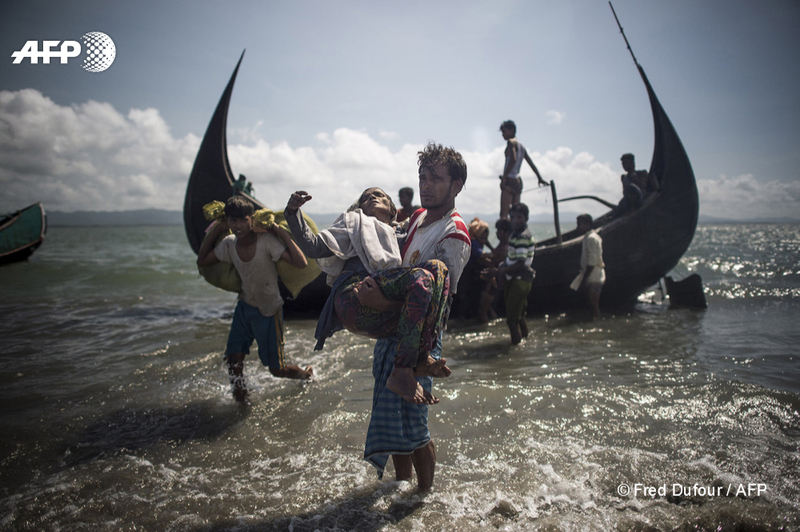 And a new category introduced this year – the People’s Choice Photography Award – went to Beijing-based photographer Fred Dufour for his striking image of a Rohingya man carrying a frail old woman to shore from a boat that a group of refugees had used to escape Myanmar. The winner was chosen by a popular online vote on a series of images initially chosen by the judges.